For those new to the handicap series and handicap runs, our free, time-handicapped fun runs are designed to equalize participants of different speeds. We host six events – one each month from November through April ** – that vary in distance, terrain, and location, and are usually hosted at or near someone’s house so we can enjoy a potluck afterwards. 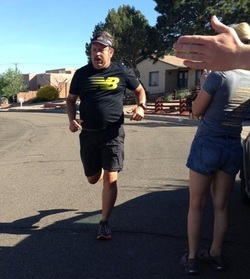 What makes a handicap run different from an ordinary race is that participants are started based on their handicap time so that walkers and slower runners start first and faster runners start last. The idea is that everyone finishes around the same time - and the fastest person isn’t always the winner! At each event, participants are awarded points based on their finish place; everyone receives at least five points for participating, hosting, or volunteering. At the end of the series, the person with the most points wins a free pair of shoes. Distance is usually 3-4 miles, though longer courses are possible. Look for the occasional "specialty" event, too, such as a predicted-time run. If this is your first handicap run, please contact Shannon Zanelli to let her know your normal 5K time (NOT your estimated time for the course) so your start time can be calculated. 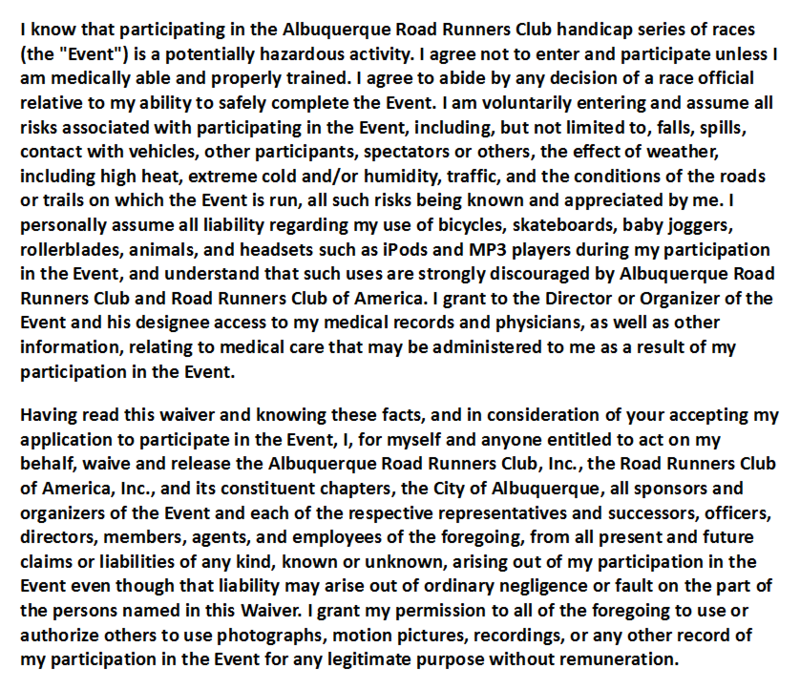 By participating in the ABQ Road Runners' HANDICAP RUNS, you agree to our standard waiver.